DEPUTY Prime Minister and Member for Alotau, Charles Abel, was given a traditional Kiriwina welcome when he officiated at the EPC games last weekend at the Bisini Colts Oval. Abel said it was his first time to visit the tournament and was happy to hear of Alotau teams participating in this year’s tournament. “Sports is an ongoing development that keeps us busy, fit, teaches us new skills and most of all, allows us to enjoy each other’s companies. And I am happy to know that since 1977, the Eastern Papua Carnival is the longest running sports organistion. “We can see that sport is getting bigger and better in Papua New Guinea every year and I want to thank my government, our prime minister’s investment into sports. Abel kicked off the match between the men’s Galea Oceaner’s 2 and Maiyela 1. He also presented a K10,000 support for the running of this year’s tournament and wished the teams who came from Alotau and Kiriwina success. 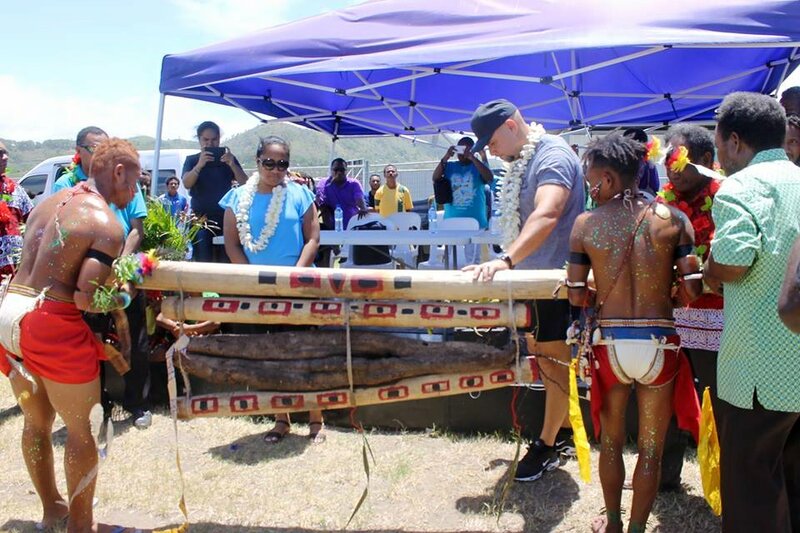 EPC President, Bede Tomokita, said the tournament, the longest running competition, was set up for the fostering of friendship and unity among the Milne Bay communities living in Port Moresby. The EPC is mainly sponsored by the NCD Governor Powes Parkop in an annual package of K30,000, with support also coming from the Kiriwina-Goodenough MP Douglas Tomuriesa of K25,000 and from former Milne Bay Governor Titus Philemon of K10,000 over the past six years. The EPC is in its second week of competition at the Bisini Colts and Bava Park fields.